The buyout firm has been in discussions with providers over a £500m finance facility for its 2013-vintage HgCapital 7 fund, Secondaries Investor has learned. Hg, one of the UK’s biggest private equity firms, has become the latest blue-chip manager to explore using preferred equity as a fund finance option, Secondaries Investor has learned. The London-headquartered mid-market buyout firm has been in discussions over a preferred equity fund-level finance facility of around £500 million ($655 million; €584 million) for its 2013-vintage HgCapital 7 vehicle, according to three sources familiar with the matter. 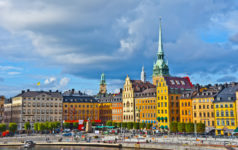 The fund holds Visma, which was Europe’s largest software buyout when Hg teamed up with GIC, Montagu Private Equity and ICG to acquire the Norwegian software provider in 2017. Coller Capital is among firms Hg has been speaking to, according to the three sources. It is unclear whether these talks are still going ahead. A spokeswoman for Coller declined to comment. Portfolio holders can take on preferred equity instead of selling stakes or assets from their portfolios, keeping exposure to any potential upside while benefiting from liquidity. The preferred equity investor injects liquidity into the vehicle, which can be distributed out to the LPs in exchange for future preferential cashflows from the portfolio. According to an end-of-year survey by advisor Evercore, 31 percent of buyers were offered a preferred equity option last year, versus 40 percent the year before. HgCapital 7 raised £2 billion against a £1.75 billion target from investors including the California State Teachers’ Retirement System, Cambridge University Endowment Fund and Ohio Public Employees Retirement System, according to PEI data. In January the firm made a partial exit of Visma, selling a minority stake to Canada Pension Plan Investment Board. Hg remains the lead investor in the software provider. The fund was delivering a net internal rate of return of 15.3 percent as of 31 March, 2018, according to data compiled by CalSTRS. Hg was ranked sixth among London-headquartered private equity firms by capital raised over the last five years, according to sister publication Private Equity International‘s latest PEI 300. The firm raised $7.81 billion between 1 January, 2013 and 1 April, 2018.